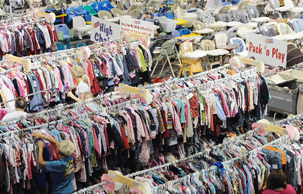 Want to enjoy all the benefits of consigning with Northern NV's largest consignment event, but are simply short on time? Not to worry, JBF will do it for you with our Valet Tagging Service! Valet Registration is now open! Team Members MAKE JBF GO, Volunteer Registration is OPEN! Just Between Friends is run 100% by moms and dads like you and, simply put, we love and need YOU! For this reason, we reward our helpers. As a Team Member (4hr minimum) you'll earn 70% of your sales AND a presale pass to shop EARLY (with ONE guest)! The more you help, the earlier you shop the biggest and best selection of items at the sale! Sign up to be a volunteer a minimum of 4 hours. Earn 70% of your sales. The more shifts you work, the earlier you shop the presale on Friday. Shifts are available in 4-hour increments, with a few 2-hour shifts reserved for our nursing mothers. The longer you help, the earlier you get to shop! The earlier you shop, the more merchandise and bargains to be had! Pregnant or have health limitations? Many of the tasks can be done sitting down. If you're not able to make it we'll happily welcome your husband, brother, father, mother, sister, wife as a team member, and you'll still get the credit! Or work together and earn double the credits! If you can't work yourself, we'll happily welcome your husband, brother or father! Many couples work together so they in turn can shop the Presale together. Or, combine their hours onto yours and jump to an earlier shopping time. NOTE - Children are welcome, but they MUST REMAIN WITH YOU AT ALL TIMES. Volunteers and their guest are also invited to shop a 50% OFF Presale on Saturday, at 5pm. PLEASE NOTE: FOR EVERYONE'S SAFETY, CHILDREN ARE NOT ALLOWED TO ACCOMPANY YOU DURING YOUR SHIFT. Have a business you want to promote? As a family business we understand the value of promoting within our community. Let us help you promote your family friendly business. If you have a business or service that caters to children, families, moms, expectant moms or parents-to-be, partnering with JBF is a great way to reach your audience! Vendor Table: You're the best marketing tool for your business, and a vendor table allows you to work your magic in front of thousands of moms and families. Vendor space is offered for the full three days at $200. You do not have to staff your space the entire time, however, we do require your table to be set up for the duration of the event. We'll even link to your Web site, if you offer the same to us. Partner: If you have ideas to help us promote our upcoming JBF Event through your business, we are willing to explore any cross-promotion options to offset your cost of advertising through us. Contact us to let us know your ideas. Vendor Promos: Give us a flyer or business card and we'll put it in all the shopper bags at the registers. Contact me at vickidame@jbfsale.com for more information or register here to reserve your space. * PLEASE NOTE: Vendor space is limited. Spaces are given on a first come first served basis following an approval process and receipt of payment. Vendors in direct competition with the sale will not be accepted. Only one vendor per type, i.e. Scentsy, Lularoe, doTerra, etc. A: We prefer Cash but also accept Visa, MC and Discover. Q: Is there a fee for parking? Q: How often do you hold these sales? Q: Can I bring my Children and/or Stroller? A: YES! Children are welcome anytime, however, they MUST remain with you at ALL TIMES. Q: Do you have bags for shoppers to use? A: Yes, we have JBF bags for use by shoppers at the sale, however we do not have bags available for you to take your purchases home. We recommend you BYOB (Bring your own bags) to take your items home in and bring a wagon to cart your items around! Items may be placed in the hold area for up to 2 hrs while you continue to shop. We do sell IKEA bags for $2.00 each. Q: Are children allowed to play with the items for sale? A: No. Children are not allowed to play with or on any of the items for sale. This is strictly enforced. Q: Who prices the items? A. Consignors (sellers) are responsible for pricing their own items prior to drop off. JBF provides pricing guidelines and suggestions, but ultimately it is up to the seller. Q: How do I shop before you open to the public? A: There are many ways you can shop before the public; becoming a Team Member, consigning your gently used items OR one of our many early passes (click on “Get Tickets”). Q: Who can consign their items and become a seller? A. Anyone can consign their gently used children's and maternity items with Just Between Friends. Q. Do consignors get to shop before the public? A. Yes, consignors will shop before the public on Friday. You must present your pass either on your phone or on paper. Q. Are children allowed at the presale? A. YES! We've recently changed our policy, so children are always welcome. However, they MUST remain with you AT ALL TIMES. Q. What percentage of my sales do I receive? A. Consignors receive 60% of their sales. Consignors who join our team for 4 hours or more will earn up to 70%. Q. Who does the pricing? A. You set your own price, prices must be 30-90% of local retail value. Q: Do I have to make it half price? A: No. That is entirely up to you, however, we have seen that items marked to reduce are more likely to sell. Q. What percentage of my items can I expect to sell? A. Most Consignors sell approximately 80% of their items. Q. How do I sign up to consign? A. Click on the “Register to Consign” button on the Consignor Details page, and once you have logged in - select Reno, Nevada for your sales event. Q. How long should I schedule for drop off? A. It typically takes about 45-60 minutes to drop off your items. Our new inspection process allows you to leave if there is a long wait, and we'll text you when we are ready for you. All large items will be inspected and checked for recalls, items that are not accepted or pulled from the floor will be returned to you after inspection or at pick up. Q. When and where do I drop off my items? A. We have drop off times available on Wednesday and Thursday of the sales week. Q. When do I pick up my unsold items? A. Unsold items are picked up Sunday evening (7p-8p) after the sale has ended and all items have been sorted to the individual Consignor Number. Sorry, NO early pick ups, no exceptions. Q. Do I have to sort through the racks to find my unsold items? A. No. When you pick up your unsold items they will be sorted by consignor #. Just follow the steps outlined for you when you check in for pick up. Q. How long does it take to receive my check? A. Your check will be available within two weeks of the sale, it will be emailed to you at the email address in your profile at the time of drop off (so please make sure it is correct). To cash your check, simply click on the link and print it out. Q. Will I know what items have sold? A. By using the online barcode tagging system at www.myjbftags.com you will have a record of all your items sold. There is an occasional tag that must be hand entered due to a bad barcode or printing quality issue. These items do not appear on the online sales report, but are included in your check. Q. Where do I find safety pins and child sized hangers? A. You can get hangers from Target or Walmart. We suggest that you try to use hangers that are normal width of a clothing bar and avoid using wire hangers. You can buy safety pins from us at a discounted rate that are of a superior quality! Q. What size hangers do I need? A. Please put clothing sized 6 and smaller on child sized hangers if possible so the garments do not get all stretched out. Larger sizes fit well on adult hangers. Note that we don't like wire hangers, and will ask you to phase out of them. Q. If I consign my items, do I have to stay during the sale? A. No. Consignors drop off their items and that's it! You do not have to come back unless you are picking your items up on Sunday between 7-8pm. (Don't forget to come shop the presales AND if you join our team you shop earlier PLUS get extra money from your sales!). Q. What items are you taking? A. We accept anything and everything (child, family, maternity related) in gently used condition from baby to teen, plus Maternity too! Q: What sells the best? A: Large items and toys!!! Very few of our large items and toys are left at the end of our events. Q: Are you an all seasons sale? A: YES! This means you can bring your clothing no matter what season it is for, but always remember that things like Halloween costumes and attire, Christmas attire and Easter attire sell best when they are at the sale leading into the Holiday! If you try to save your winter clothing, such as snow suits and boots, for our Fall Sale or your tank tops for the Spring sale, you are more likely to sell them at full price. A. Shoes are allowed, but please bring only your best shoes up to Big Kids size 7. Q. What about stuffed animals? A. We only accept name brand character or battery operated stuffed animals (lights, sound, movement). Working batteries are a MUST. Think Disney, Build a Bear etc. Q. What is the Mommy Mart? A. We are eliminating Mommy Mart. Q. What NOT to bring? A. We do not accept adult novels or videos, R rated games, movies or CD's (or obviously inappropriate movies, games or CD's), Queen size or above bedding, used appliances or TVs. Q: Do I have to volunteer as a Consignor? A: No, unless you bring more than 500 items to the sale then you will be required to work our sort shift on Sunday. Q. Can anyone sign up as a Team Member and attend the presale? A. Yes, anyone may sign up to join our team on a first come/first serve basis. You do not have to be a consignor to volunteer. Q. Can I bring a guest to the presale? A. Good news! Only our Team Members (volunteers) are allowed guest passes. Q. How long are the Volunteer shifts? A. Shifts vary from 2-4 hours. (Our 2 hour shifts are reserved for nursing mothers, so please be considerate when selecting your shifts) The more hours you help the earlier you can shop. 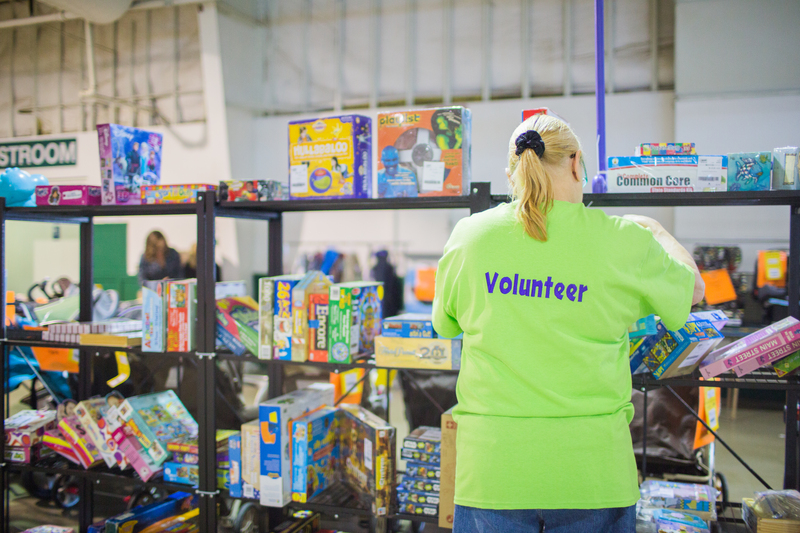 Those who volunteer for 8 or more hours get their consignor fee waived ($15 value). Consignors who volunteer for 4 or more hours also receive 70% of their sales. Q: Do you allow Barters? A: Sometimes, depending on each event's needs. Item's that we are typically looking for are a predetermined meal bought, paid for and delivered at a specific time, bottled water, snacks, stamps, and more! We also are always looking for services and opportunities for media or advertising options. These barters would be in the volunteer scheduler if they are available. Email me at vickidame@jbfsale.com if you think we may be interested in swapping for some shopping time! Q: How do I sign up, or know what I signed up for? A: Log into your account to see all available options or for shifts that are available. If you are unable to find a shift that works for you, email me and I will do my best to accommodate your request. Q: Can someone else volunteer in my place? A: Yes! They just need to tell the Team Lead when they check in. ALL volunteers MUST fill out a volunteer waiver, or you won't get credit for your time. Q. Do you provide childcare for Team Members? A. No. Unfortunately, we are not able to provide childcare at this time. We need the full attention of our team members so we ask that you find daycare for your shift when working at the sale, or consider a barter option (when available) if you are unable to secure child care. Q. I'm pregnant or have a medical condition. Is it OK for me to be a volunteer? A. We have many volunteer opportunities that can be a "sit down" position or very light duty. If you are pregnant or have a medical condition, you will want to volunteer when the workload is less. If you need special arrangements, please email me and I'll see what I can do.